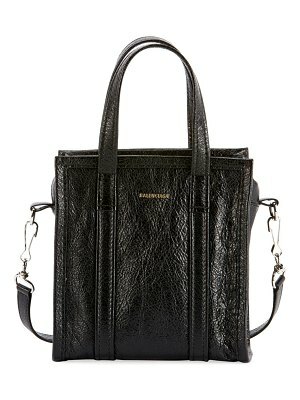 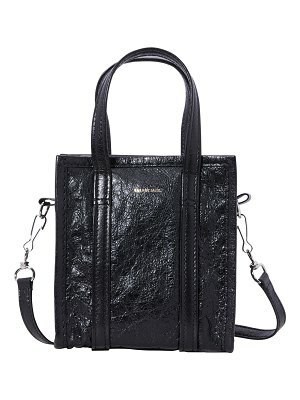 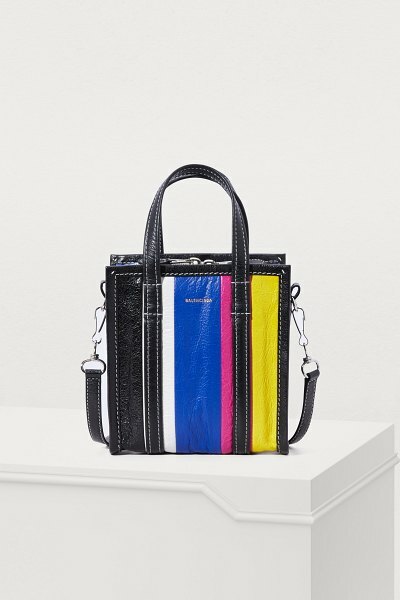 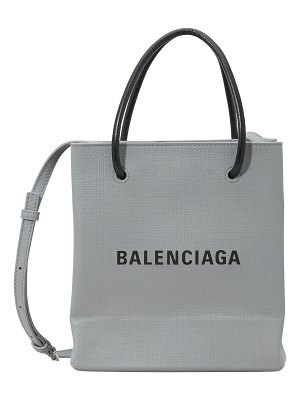 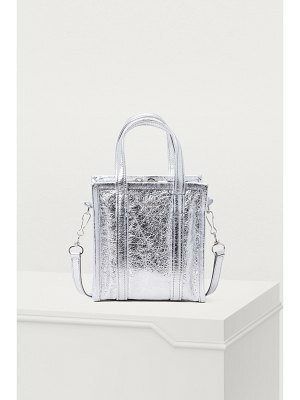 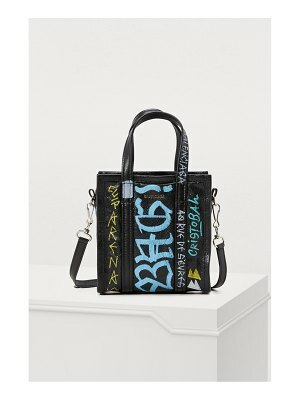 Balenciaga takes a fun new approach to a classic with this urban, sophisticated piece: the "Bazaar" XXS tote bag. 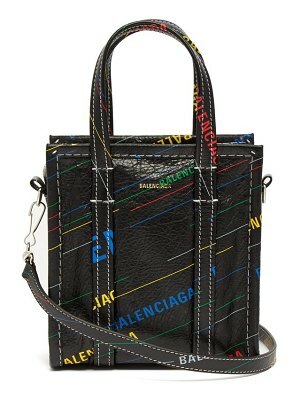 It has the signature minimalist design of Demna Gvasalia, artistic director of the fashion house. 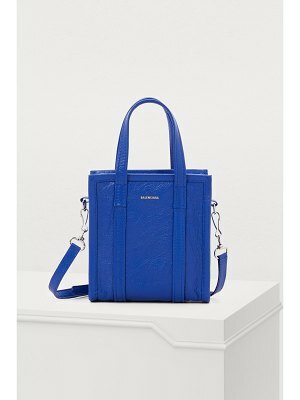 The brand opts for refined finishes, such as delicate topstitching and a discreet logo, to embellish their design. 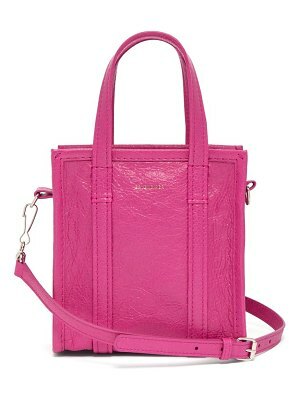 This practical accessory has both top handles and a removable strap.